cupcakeMAG for Littles: Fashionable Treats for Chic Moms & Their Babes: Getting Ready for our Under the Sea Birthday Feature! Getting Ready for our Under the Sea Birthday Feature! 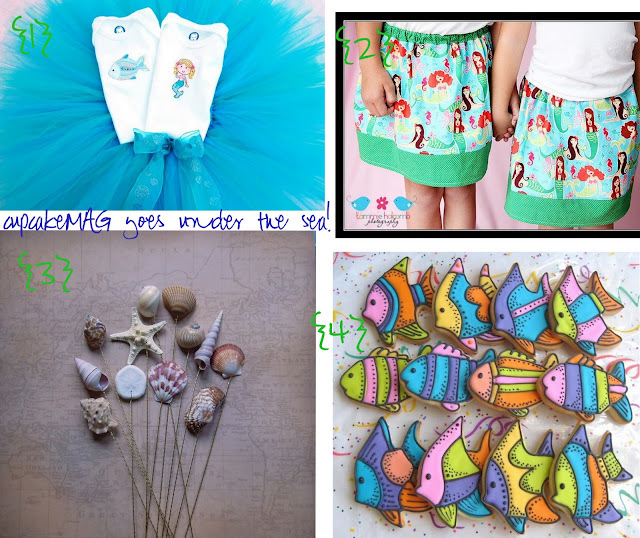 We just wanted to give you a sneak peek of some of the FABulous goodies that will featured in our upcoming Under the Sea 8th Birthday Feature for a sweet little girl! Remember the invite here? Well, check out some more of the must-haves from the shoot below! I can't wait to see the full feature. It's going to look amazing!!! Thank you for including us in the feature. Thanks so much! We loved designing the graphic printables for you.